I hope this introduction will explain more about the role of the Governing Body and how it fits within the school. Our governors are a mix of elected parents, members of the community, together with a Local Authority representative. We are supported by our clerk, Mrs Nicola Williamson. 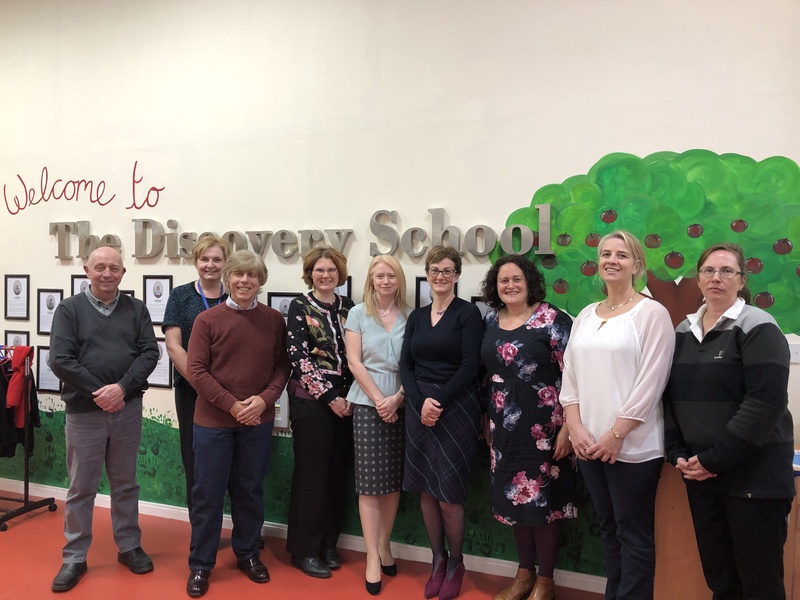 The Governing Body is separate from our fantastic Friends of Discovery School (FoDS), the registered charity which works hard to raise money for the school. Further information on FoDS, our parent/teacher association (PTA), can be found in its section of the website by clicking here. I hope to see you at some of its upcoming events. The Governing Body is established according to an “Instrument of Government” which is recorded and agreed with Kent County Council and can be downloaded below. As can be seen above, Governors are a mix of Parents, Local Authority, Staff, the Headteacher and “co-opted” Governors - as set out in the Instrument of Government. The co-opted Governors are appointed so as to maintain a good blend of experience and skills on the team. Governors normally serve for a fixed term of 4 years. Parent Governors are elected by parents with each individual parent having a single vote. Click here to view the Terms of Reference for the Governing Body. Click here to view the Instrument of Government. The Full Governing Body (FGB) meets at The Discovery School five to six times per year. Every governor adheres to an agreed Code of Conduct. Governor meetings follow a clear agenda and the minutes of the meeting, apart from any confidential items, are a matter of public record. The last few sets of FGB minutes are available on this Website. Normally, the meetings are timed so as to align with key activities in the school year. For example, at the end of the summer term, the meeting will review SATS results and use these to plan monitoring and interventions for the following year. Likewise, school accounts are signed off to align with the requirements of KCC and financial reporting timelines. If any activity is required outside of the scheduled meetings, extra-ordinary meetings or committees may be convened. Examples of this would be to recruit and appoint a new Headteacher, Deputy Headteacher or to investigate a complaint against the School. Some schools have many sub-committees to manage specialist areas. At Discovery, we have a relatively simple structure. This is called the “Circle Model”. In addition to monitoring the children's achievements we oversee any finance, health and safety issues raised. The Governing Body also carries out routine safety inspections at the school and deals with buildings and premises management. Our only committee is the Pay Committee which approves the overall approach to performance pay increases and ensures that the school budget supports the pay bill. The Terms of Reference sets out individual governor responsibilities. Associate governors may also be appointed to the governing body to offer expertise in a specific area. The Governing Body has determined that Associate Governors will not have voting rights.